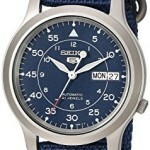 Seiko 5 Men’s Automatic Watch SNK809K2 Review. Hello, today I’m doing a Seiko SNK809K2 review. 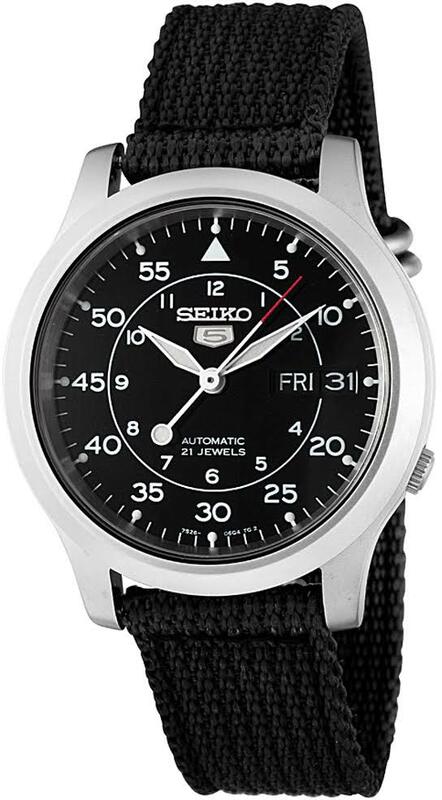 This SNK809k2 is part of Seiko’s popular Seiko 5 series which was introduced back in 1963. They aimed at setting a new standard for affordable, quality mechanical watches. You can’t go far wrong with any of the Seiko 5 watches, but we’ll take a close look into this watch anyway. 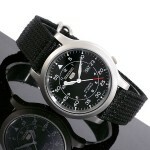 You’ll also spot this reffered too as the Seiko 5 SNK809. Anyway I’ll get on with my SNK809k2 review below and you can find out the price on Amazon today, enjoy. When it comes to value for money, this watch ticks all the boxes for me. 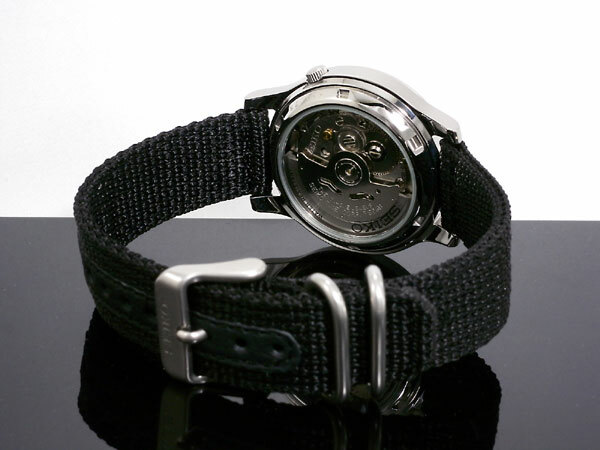 If you’re after an entry level automatic mechanical watch then I honestly think this is worth consider, especially if you refer these fabric straps. Whilst I wouldn’t normally go for a fabric strap myself, I can see the appeal and it’s pretty obvious why this is one of Seiko’s best selling watches. It’s worth noting this is more of a traditionally sized men’s watch at 36mm, ideal for people with skinnier wrists who often don’t like these oversized watches you see a lot these days. As you would expect in this price range, this watch features a specially hardened mineral glass. Mineral glass is scratch resistant so will resist most day to day wear, other scratches can often be buffed out which is also useful. I mentioned earlier that the casing diameter size was more traditional at 36mm. These days you see a lot of the 42mm dials which have become very popular, but there’s still people who prefer these smaller watches. The casing thickness is 11mm which is classed as average and is what I’d expect for a watch of this size. I really like the calendar design, it blends in perfectly with the wrest of the dial. It’s just a standard date and day display but you can’t really expect anything more in this price range. More than happy with this. The watch strap is made of a fabric canvas blend, it’s 18mm wide which is ideal for the case size and features a traditional buckle clasp. Some people have even swapped this out for a nato style strap which I have to admit looks very good. As I mentioned earlier, perfect watch to get you into automatic watches and the exhibition case back shows off the mechanism very nicely. 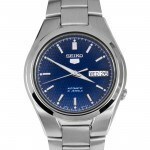 It offers very good value for money and you can rarely go wrong with a Seiko watch to be honest. If I were into these fabric strap watches I’d definitely be looking to add in to my collection. If you’re looking for something a little different make sure you check out my top 21 under £200 sometime. The Seiko SNK809k2 is an excellent watch that’s perfect for anyone wanting a military pilot style dial at an affordable price, highly recommend!